Nana Patekar will co-star with Rajinikanth in upcoming film Kaala Karikaalan, reports news agency IANS. The Pa Ranjith-directed film went on floors over the weekend in Mumbai. The makers of Kaala Karikaalan released a statement in which they conformed the film's cast which also includes Huma Qureshi as the female lead. Kaala Karikaalan also stars Samuthirakani and Anjali Patil. 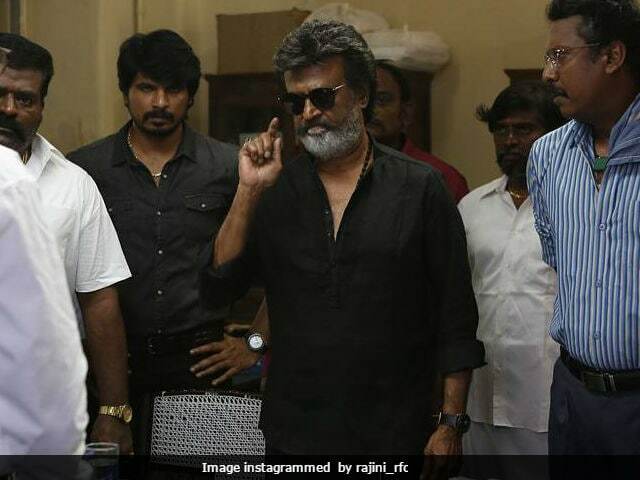 The makers also revealed that the shooting for Kaala Karikaalan will go on continuously for 40 days, reports IANS. Dhanush, who is the producer of Rajinikanth's film, shared a few posters of the film last week on Twitter in which Rajinikanth's swag was off the charts. Pa Ranjith last directed Rajinikanth in Kabali in which the Tamil superstar played the role of a Malaysia-based don. Kabali released last year and was an instant success. Radhika Apte was cast opposite Rajinikanth in Kabali. BeforeKaala Karikaalan, Rajinikanth will be seen in Shankar's 2.0, a sequel to their 2010 blockbuster Enthiran (released as Robot in Hindi). In 2.0, Rajinikanth will reprise the role of scientist Vaseegaran and robot Chitti. Vaseegaran and Chitti fought against each other in Enthiran but this time they'll fight a new nemesis together. Bollywood actor Akshay Kumar has been cast opposite Rajinikanth in the negative role. 2.0 also stars Amy Jackson and Sudhanshu Pandey. 2.0 was earlier scheduled to release in November but it will now hit the screens in January.